Hi folks, Doc Here. 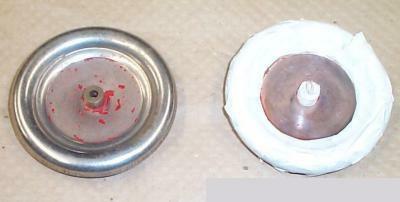 Years ago, Michael posted a query on my (then) Message Board regarding painting MH wheels. When no one posted an answer, he decided to come up with a method of his own. Here are his results - enjoy! I had four nice 1933 MH wheels, nice in the sense that they weren't bent or rusty, not so nice because someone had nothing else to do but scrape all the red paint from the centers. Masking the hub is the easy part, it's the outside edge. No one [ I know of] makes curved masking tape, so my solution was to take the red off after painting. 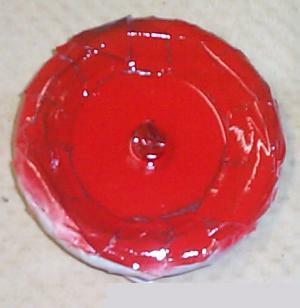 I used regular masking tape as shown, forming it a little larger than the center, I primed, I always do under paint, I have fewer problems with fish-eyes, orange-peel etc, I like to lay the paint on so heavy it's a wet puddle rather than light coats that are almost like overspray. After the paint is good & dry, the tape comes off, the MH is mounted on an arbor [a short Erector axle]. 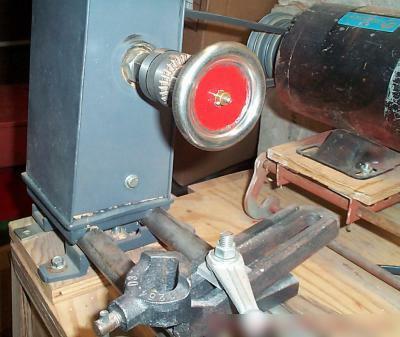 I used my wood lathe, but a drill press or metal lathe would work. 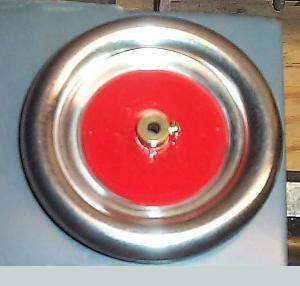 With the wheel spinning, you need to remove red paint to the point that you have a nice straight line around the wheel. 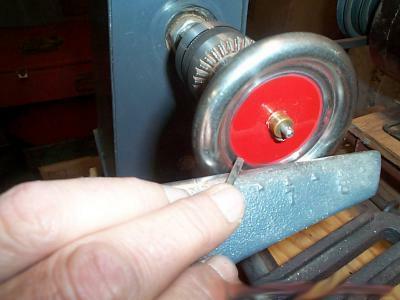 Any one who has used a wood lathe will find this simple with the point of a small screwdriver, or very fine steel wool held by hand. As long as you stay away from the hub set screw, and you shouldn't be near it, there is nothing to "catch" the tool or wool. You can also apply some wax while it is spinning, it really makes them shine. Hey, it worked for me!